The Homage of the 65th Berlin International Film Festival will be dedicated to German filmmaker Wim Wenders, who will also be awarded an Honorary Golden Bear for his lifetime achievement. The award ceremony on February 12, 2015 at 10.00 pm in the Berlinale Palast will include a screening of Der amerikanische Freund (The American Friend, 1977). The film thriller, based on a book by Patricia Highsmith, is set in Hamburg, Paris and New York and tells the story of a fatal friendship between two highly dissimilar men, played by Bruno Ganz and Dennis Hopper. 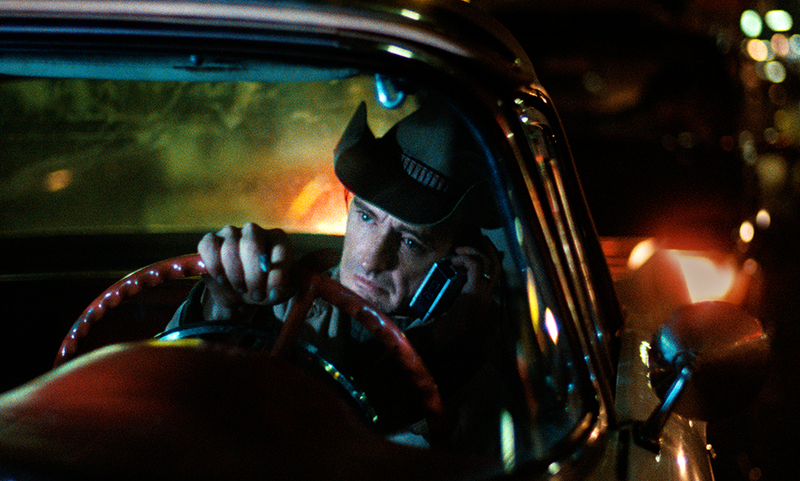 „In dedicating the Homage to Wim Wenders, we honour one of the most noted contemporary auteurs. His cross-genre and multifaceted work as a filmmaker, photographer and author has shaped our living memory of cinema, and continues to inspire other filmmakers,” said Dieter Kosslick, Director of the Berlinale. In the 1970s Wim Wenders was part of a young generation of filmmakers who heavily influenced “New German Cinema”. Working against the backdrop of the economic and artistic crisis in commercial film of that time, they developed new aesthetic forms and ventured into independent production and distribution. To this day, Wim Wenders is one of cinema’s great innovators. In Kooperation mit der Deutschen Kinemathek – Museum für Film und Fernsehen. Subject of Berlinale Homage and recipient of an honorary Golden Bear for lifetime achievement, legendary German auteur Wim Wenders takes the stage to discuss his current work and the restauration of his films. A lauded figure in the New German Cinema generation of the 1970s, Wenders went on to rack up top prizes for seminal films like Paris, Texas, Wings of Desire and The State of Things. His recent works Pina, The Salt of the Earth and this year‘s festival entry Every Thing Will Be Fine cement his reputation as one of the most influential auteur filmmakers working today. In conversation with Artistic Director of the Deutsche Kinemathek, Dr. Rainer Rother, Wenders will elaborate on his career, his experiences working across various genres and international settings and what it means to stay on the vanguard of filmmaking. In the Eiszeit Kino in Kreuzberg takes place the longest Kiez-Night until now with a selection of Wim Wenders‘ Films of the Homage-Program. The Berlin-films by Wim Wenders will also be the focus of the official Berlinale film tour. The tour will take place on Sunday, February 15 at 11:00 (start: Potsdamer Straße no. 5) in cooperation with the Berlinale and Radio Eins instead. In one equipped with additional bus monitors clippings on the locations of known Berlin-Movies recorded and commented. The featured films allow time travel through the Berlin Film History: It’s UFA classics like „Emil and the Detectives“ on DEFA cult films such as „The Legend of Paula and Paula“ to more recent productions. The two films of Wim Wenders ‚Wings of Desire „ (1987) and „Faraway, So Close!“ (1993) have shaped the image of the city. The Victory Column, Potsdamer Platz, the Berlin Wall, the Hackescher Markt – these are only the most important of the proposed locations of us the classic starring Bruno Ganz and Otto Sander. Interesting background stories make the tour a journey of discovery for Berlin fans as film lovers alike.